During this project, researchers will aim to detect very small seismic events buried within background ambient vibrations from industrial activity to create maps of seismic intensity within the planned CO2 containment site. These maps will help identify existing micro fractures and other properties of the containment site. 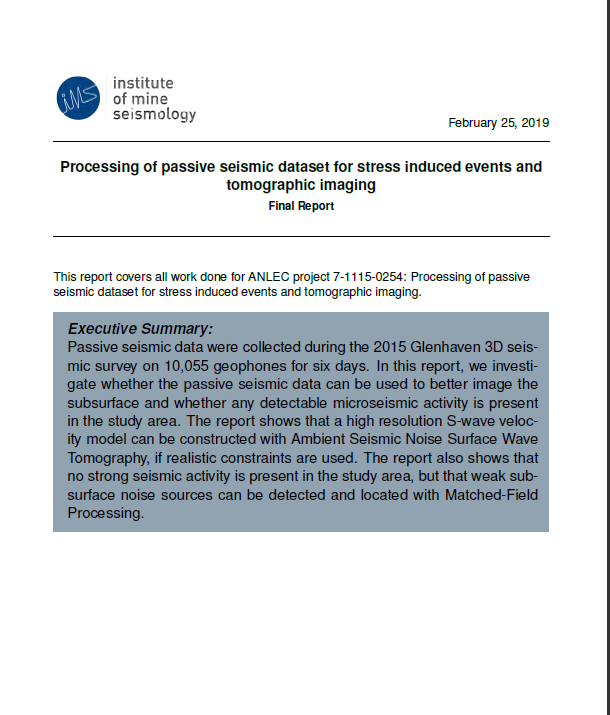 Researchers will also use the background ambient noise field to perform ambient seismic noise tomography – a cheaper alternative to active seismic surveys to image and monitor the subsurface. 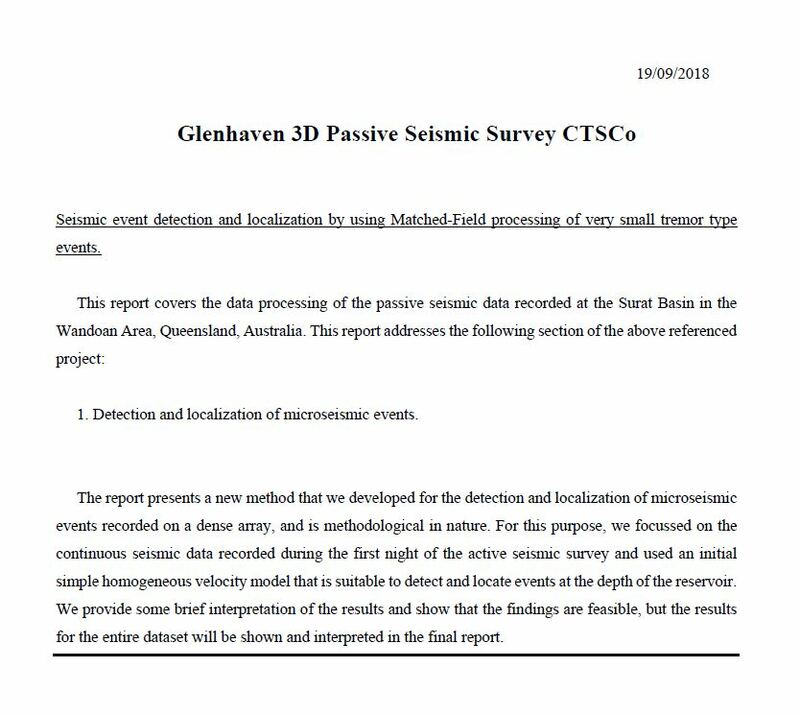 The passive seismic data recorded during the Glenhaven 3D seismic survey consisted of more than 10,000 seismic stations. This makes this survey one of the largest continuously recorded seismic networks ever deployed and provides the ideal seismic network to test and develop methods that can aid in safer subsurface containment.